A doctor has asked that pregnant women should stop asking for Caesarean section if they have no strict reason for it. A gynaecologist, Dr. Adebayo Bamisebi, on Tuesday advised pregnant women to only have Cesarean Section if there’s genuine reason for it. Bamisebi, of the Department of Obstetrics and Gynaecology, Ibeju-Lekki General Hospital, Akodo, Lagos, who gave the advice in an interview with the News Agency of Nigeria, noted that some women who deliver through C-Section do so on flimsy excuse or based on fashion. “Earning a Caesarean section is for a special reason. It could be because of a problem with the baby or the mother or even both of them. “It could also depend on quite a number of reasons, which may be strictly foetal, strictly maternal and strictly foetal-maternal. “When a C-Section is being carried out, we must be sure that the woman actually merits it, not just through a cooked-up excuse to have it done,’’ Bamisebi said. The gynaecologist said that vaginal delivery that is not complicated is the ideal. According to him, eight out of every 10 pregnant women should be able to deliver without much problem. However, he said, 20 per cent, that is, two out of every 10 pregnant women, would likely experience some hitches which might result in other forms of delivery, one of which is a C-section. The gynaecologist noted that most women who reject vaginal delivery are the young and educated ones who do so out of the fear they got from friends who have had child delivery. Bamisebi, who said that vaginal delivery could be less discomforting and less painful when the appropriate analgesia is given, urged women not to opt for surgical delivery if there is no strict indication for it. 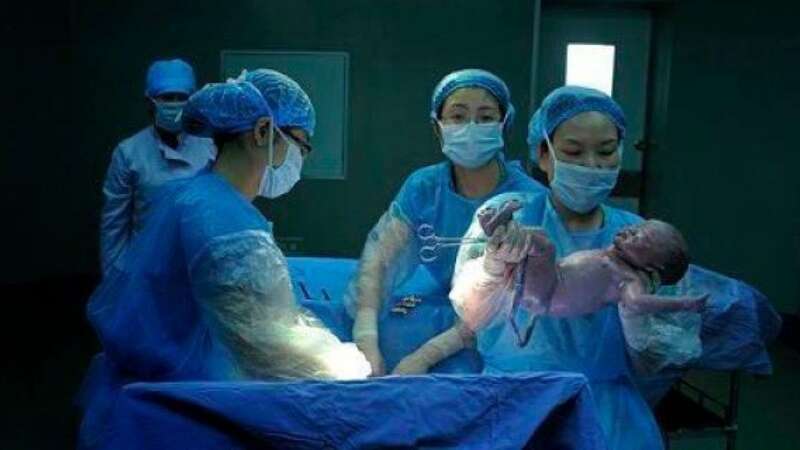 The medical practitioner said a pregnant woman who has a prolonged labour, or one whose baby is big, can be admitted for Caesarean section, adding that such women could also present improper position of the baby, causing unnecessary delay that could lead to obstruction of labour. “That kind of delivery should be completed by a Caesarean-section, right in good time, in order to have a healthy baby and mother. “So, for those who will earn it, it is as safe as anything, particularly when it is done in good time with all the modern safety tools,” the physician noted. He, however, urged fellow physicians not to deny pregnant women whose condition warrants Caesarean section in order to ensure the safety of the mother and the child.